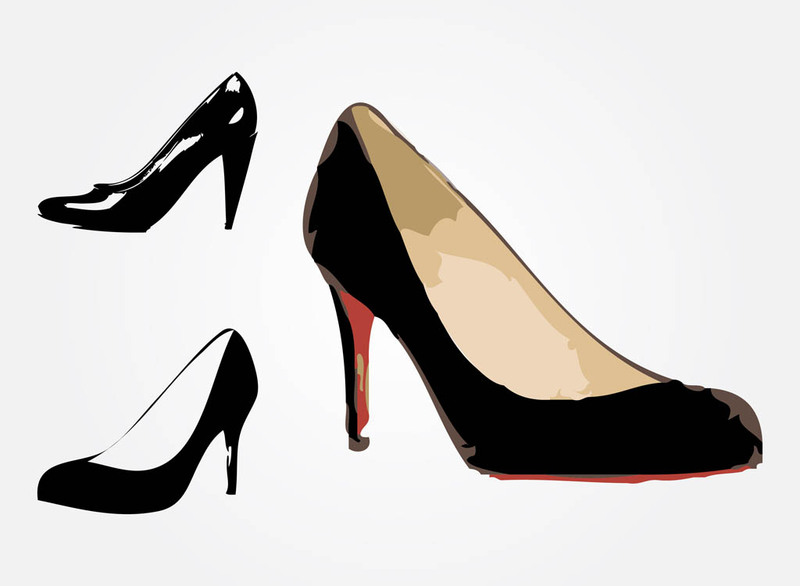 Fashion vector image set with elegant women’s shoes. Classic sophisticated shoes with thin heels. Cartoon graphics of a fashionable Christian Louboutin shoe with a red sole. Free vector shoes to create fashion, style, accessories, leather goods, outfits and shoe trends visuals. Tags: Elegant, Fashion, Footwear, High Heels, Shoe, Soles, Style, Toes.